An unknown number of Canadians have completed a do-not-resuscitate document, asking that they not be revived if they are critically injured or ill. Across Canada, there is no consistent approach to keeping track of these requests. Shahnaz Azarbehi wants to die on her own terms, but she says her wishes aren't being taken seriously. The 67-year-old Toronto resident is in good health. But if she is ever in a serious accident or gets really sick, she wants everyone to know she does not, under any circumstances, want to be resuscitated. She knows that seriously injured people can receive CPR and go on to live a normal life, but she fears a scenario where she doesn't fully recover. "I see elderly, just skin and bones, lying there for months and years and years," she says. "I don't want to be one of those." 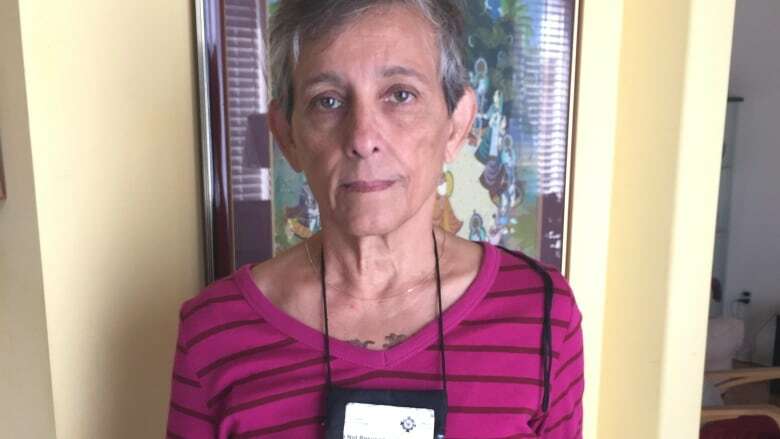 Azarbehi is one of an unknown number of Ontario residents who has completed a Do Not Resuscitate Confirmation Form, which can be used outside of the hospital setting. In fact, in most provinces other than Quebec, there is no provincial database of similar documents that allow patients to articulate their CPR preferences. The Ontario form contains a list of interventions that will not be attempted including chest compression, defibrillation and artificial ventilation. It's filled out by a doctor or nurse, and it is the only document that allows paramedics and firefighters in Ontario to forgo CPR when attending to an incapacitated person. Azarbehi asked her doctor to fill out the form after watching her mother-in-law struggle after a stroke in 2011. She was found unconscious in her home about an hour later by her daughter, Azarbehi's sister-in-law, who allowed paramedics to resuscitate her. She regained consciousness after 10 days but spent the rest of her life in bed, hooked up to machines. More than five years after her death, the family is still wrestling with the decision. "They had to literally peel her off the bed to just clean her — the sores," says Azarbehi. "I don't want to take not even the slightest chance of that happening to me." But completing the do-not-resuscitate form hasn't brought Azarbehi the peace of mind she was hoping for. Each form has a serial number, but there is no registry or database where the information is stored. That's why the number of Ontarians who have filled out the form is unknown. Also, the request has to go through a health care provider. The forms are tightly controlled and can't be downloaded. "What me and my doctor thought is once this is done, this goes back to the ministry. This would go into some database, some system somewhere so that when the EMS get a call they look up the system to see if I'm there," says Azarbehi. After following up with Ontario's Health Ministry, Dr. Ajanthan Sivagurunathan was told that Azarbehi should post the form on her front door or refrigerator. "We found it kind of morbid to have the form right there as people are coming in," he says. CBC News asked the ministry a series of questions about DNR documents, including where they are kept and how they are accessed in emergencies. "If the patient is living at home, it is likely that the patient (or the substitute decision-maker on behalf of an incapable patient or another family member/caretaker) will present it to the paramedic/firefighter directly," wrote a spokesperson for the ministry. There was no mention of posting the notice on a fridge. The advice Azarbehi received from the ministry began to create her doubts. The more she searched for details the less faith she had in the system. For example, she says she approached paramedics about the form and some didn't seem familiar with it. She also fears that those who do know what it is won't always have time to look for it. Azarbehi has posted a form on her wall between the front door and the entrance to the kitchen, but that display is useless when she leaves the house. At one point, she made a habit of writing the form's serial number across her chest. These days she keeps a copy in a pouch she wears around her neck. "I want somebody to pay attention — somebody to sit up and pay attention and say, 'This is serious. This is important,'" she says. Discussing and documenting preferences for resuscitation and other health-care decisions before being incapacitated by an emergency is called advance care planning. The issue is often associated with people who are elderly or dying, but advocates say all Canadians should be planning ahead. CBC News looked into how each jurisdiction deals with DNR outside a hospital setting and found differing approaches across jurisdictions — and sometimes within them. 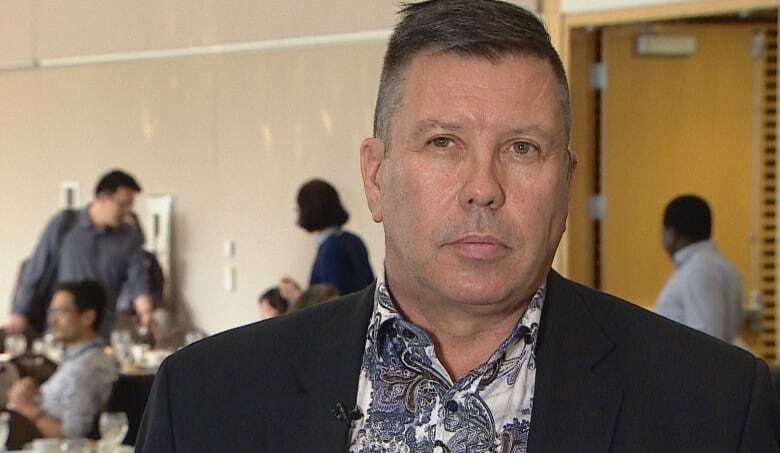 "When you have different processes across different provinces it makes it difficult," says Konrad Fassbender, scientific director for Covenant Health Palliative Institute, which cares for patients and engages in research. "It doesn't help the seriously ill patient, and it certainly doesn't help the family understand how to communicate those preferences," he says. Fassbender was an organizer of an international advance-care planning conference held this month in Banff, Alta. He says the movement of patients and doctors across jurisdictions is an example of why standardization is needed. Pierre Poirier of the Paramedic Association of Canada agrees. "I think overall we probably need a national strategy with respect to this topic of advanced directives or personal directives," he says. "You could get one level of care or not care in one jurisdiction and get something completely different in another jurisdiction." While Azarbehi and Dr. Sivagurunathan assumed that the information on her form would be entered into a database or registry, that isn't the case in Ontario or most of the rest of the country. Quebec is the only jurisdiction where residents can add CPR preferences to a database that health-care professionals can access, but those preferences are limited to "common" health scenarios. Quebec's registry, launched June 2016, contained 12,314 names as of June this year. For example, the form allows you to consent to or refuse CPR ahead of time in the event you become an end-of-life patient with a serious and incurable condition. You can also consent to or refuse other treatments including assisted breathing and forced feeding. The other scenarios covered are irreversible coma/permanent vegetative state and "severe dementia, with no possibility of improvement." The kind of blanket order Azarbehi has requested wouldn't be part of the register. There is also the issue of accessibility during an emergency. Whether paramedics have access to the database is unclear. Quebec's Health Ministry says they can access it, but the Corporation des Paramédics du Québec says that isn't case. "The first [paramedic] is taking care of the patient … the other paramedic most of the time has to search around the house to find a list, find medicare cards, find the medical history and everything," says the paramedics' president Patrick Dufresne. "If we have access to a database, it would be faster to get all the information we need to give care." Knowing where to find important documents isn't a concern only in Quebec. In 2014, Alberta launched a program to address this issue, using the Green Sleeve, a plastic folder that contains information about patient health-care wishes. Residents are told to put the sleeve on or near the fridge. 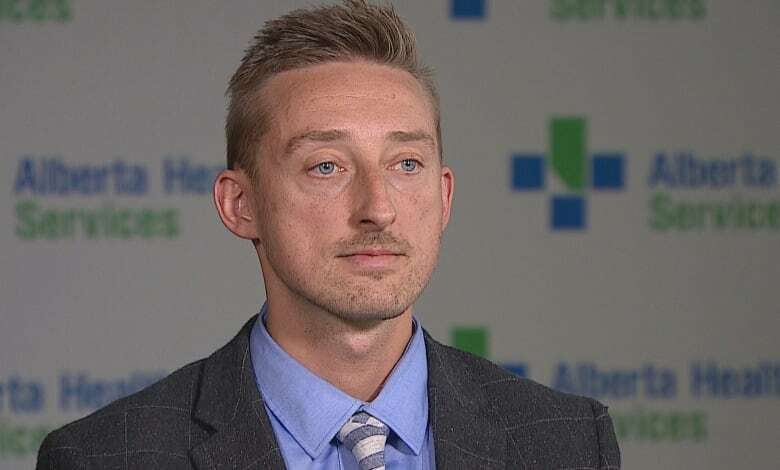 "Keeping the Green Sleeve in an area that they've been trained to know where to go and look for it is very important," says Max Jajszczok of Alberta Health Services. The sleeve usually contains a Goals of Care Designation order, the primary document, which has seven designations. For example, selecting the M1 designation allows the patient the option of all medical and surgical interventions, excluding lifesaving resuscitation followed by ICU care. C2 directs all care efforts toward comfort while preparing for imminent death. The sleeve also contains a personal directive form, which allows a patient to name a decision-maker if they are incapacitated. They can also provide instructions for care. Albertans can register information about personal directives such as the date they were created and contact information for a substitute, but the actual document is not kept on file. Hospitals can use the registry once a patient is admitted. Similar refrigerator-based programs exist in other parts of the country like Manitoba, Yukon, and Saskatchewan. In some provinces like British Columbia, DNR Medic Alert bracelets are also an option. Azarbehi's journey, which started with grief, now includes fear that she would suffer as her mother-in-law did. The fear is turning into cynicism and anger. "They just made a mockery out of me," she says of the Ontario government. Azarbehi doesn't know how her health will change, but she's done her best to make sure that whatever comes, her wishes are known. But there's no guarantee that will be enough. "I'm just asking for dignity, respect in my last final moments," she says. "I want to go in peace. Is that too much to ask?"